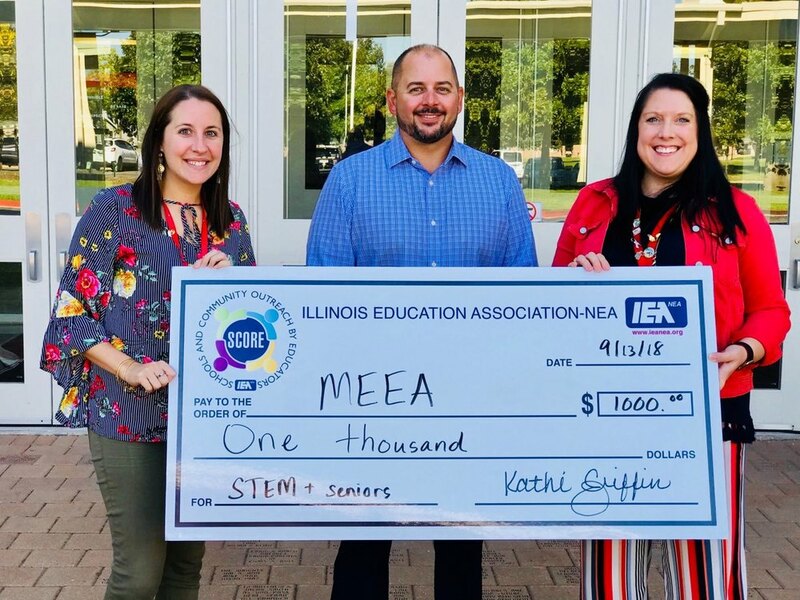 The Illinois Education Association Foundation recently awarded a $1000 grant to a member of the Morris Elementary School District #54 Teacher Association. Ashlee Geiss, along with Molly Kaminski, applied for the grant as part of the IEA’s Schools and Community Outreach by Educators program, which is a grant program designed to give educators in the first 10 years of their career a chance to apply for money for a service project. Geiss and Kaminski work as the new Instructional Coaches at Morris Grade School. This is their first year as instructional coaches at the school, after being in the classroom for 10+ years. They are extremely excited about the new role at their school. “We are here to support our staff of amazing educators, and being awarded this grant to bring them STEM materials makes our job that much greater! ” states Geiss. The project proposal Miss Geiss and Mrs. Kaminski will be executing is called “Students and Seniors with STEM.” Students from kindergarten through fifth grade will be sharing literacy and STEM activities not only within their grade levels, but also with local residents of the nearby senior living community. The students will be leading lessons with the residents by reading different stories with them, discussing the elements of the story, and culminating the lesson with a STEM activity. Miss Geiss and Mrs. Kaminski are looking forward to bringing the project to the students of District #54! More than 75 grants were awarded in the past year to educators’ projects across the state. Educators’ ideas for projects were creative, varied and were based both inside and outside schools. All of them benefitted students, students’ families and the community. Volunteer trips, food pantries, plans to get parents involved in schools, increased access to supplies and community service projects were just some of the ideas that were funded. “We’re thrilled another year of this wonderful program resulted in a range of ideas submitted by our members and we are so pleased with such creative effort,” said IEA President Kathi Griffin. The IEA represents 135,000 members, including teachers, education support professionals, higher education faculty and staff, retired educators and students planning to become teachers.